Hong-Kong display driver develop Solomon Systech says that it expects strong growth for its advanced AMOLED touch controller ICs. 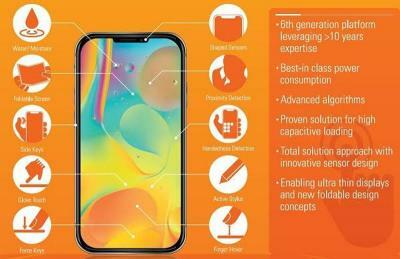 The company says it has received several design-wins and design-in projects with OLED makers in Taiwan, Japan and China for top global smartphone brands. Solomon also announced its next-generation flexible/foldable AMOLED touch controller IC. The company says that the new driver will deliver a step change in power and noise immunity which will enable device makers to innovate with ultra-thin displays and new foldable design concepts. The first sample of the new IC is expected to be available by the end of 2018. Solomon Systech's touch controller IC business was acquired in 2016 from Microchip for $23 million.